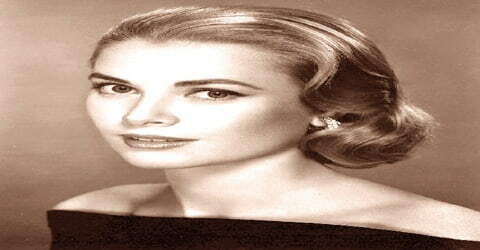 Grace Kelly – American film actress. Place of Birth: Hahnemann University Hospital, Philadelphia, Pennsylvania, U.S.
Father: John B. Kelly Sr.
Grace Kelly (was an American film actress who became Princess of Monaco after marrying Prince Rainier III in April 1956) was born on November 12, 1929, at Hahnemann University Hospital in Philadelphia, Pennsylvania, to an affluent and influential family. Grace had an innate interest for acting and from her early childhood, she dreamt of becoming an actress. However, her family did not approve of acting and modeling as a career, and she had to embark on this journey all by herself. She managed to enroll at the ‘American Academy of Dramatic Arts’ and after completing her course at the institute, she joined the Broadway. After embarking on an acting career in 1950, when she was 20, Kelly appeared in New York City theatrical productions and more than 40 episodes of live drama productions broadcast during the early 1950s Golden Age of Television. In October 1953, she gained stardom from her performance in director John Ford’s film Mogambo starring Clark Gable and Ava Gardner, which won her a Golden Globe Award and an Academy Award nomination in 1954. Subsequently, she had leading roles in five films, including The Country Girl (1954) with Bing Crosby, for which her deglamorized performance earned her an Academy Award for Best Actress. Other films include High Noon (1952), with Gary Cooper; High Society (1956), with Bing Crosby and Frank Sinatra; and three Alfred Hitchcock films: Dial M for Murder (1954), with Ray Milland; Rear Window (1954), with James Stewart; To Catch a Thief (1955), with Cary Grant. Her talent did not go unnoticed and she was soon offered roles in movies. Her first lead role was in the film ‘High Noon’ where she was cast alongside Gary Cooper. Eventually, she climbed the ladder of success and marked her position in the film industry. However, when she was at the zenith of her career, she entered the wedlock with Prince Rainier III of Monaco. She then became the Princess of Monaco and with the title came many responsibilities and obligations, owing to which she had to forgo her acting career. Kelly retired from acting at the age of 26 to marry Rainier and began her duties as Princess of Monaco. They had three children: Caroline, Albert, and Stéphanie. Kelly retained her link to America by her dual U.S. and Monégasque citizenship. Princess Grace died at Monaco Hospital on September 14, 1982, succumbing to injuries sustained in a traffic collision the day before. After her death, the French physicians treating her reported that a CAT scan had revealed she had suffered two brain hemorrhages. The first occurred prior to the crash and is believed to have been the inciting incident that led to the crash. The second, she suffered while in hospital, is believed to have been the result of physical trauma sustained in the crash. At the time of her death, she was 52 years old. 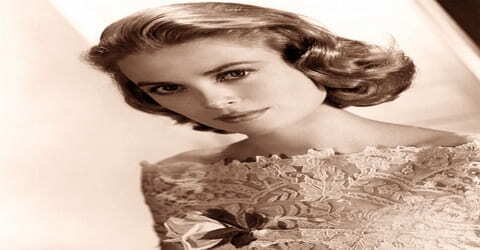 Grace Kelly, original name in full Grace Patricia Kelly, also called (from 1956) Princess Grace of Monaco, French Princesse Grace de Monaco, was born on November 12, 1929, Philadelphia, Pennsylvania, U.S. Kelly was born into a wealthy Irish Catholic family in Philadelphia. Her father was a sports personality and won three gold medals at the Olympics for rowing. Her mother was a teacher of physical education at the ‘University of Pennsylvania’. 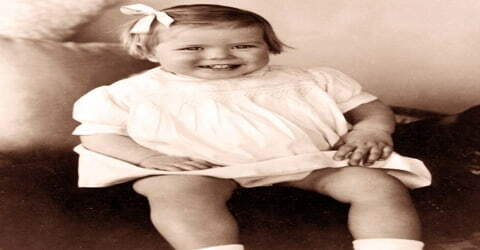 Grace had three siblings named Margaret, John Jr., and Elizabeth. She was educated in a convent and private schools before attending the American Academy of Dramatic Arts in New York City in 1947. She received education from institutions such as ‘Ravenhill Academy’ and ‘Stevens School’. During her school days, she participated in many fashion events and also acted in a few plays. In 1942, at the age of 12, she played the lead in Don’t Feed the Animals, a play produced by the East Falls Old Academy Players. After completing her studies, she decided to pursue a career in acting and thus enrolled at the ‘American Academy of Dramatic Arts’, New York, in 1947. Simultaneously, she carried on modeling for earning a livelihood. In her last performance at the academy, she played the role of Tracy Lord in the play ‘The Philadelphia Story’. Kelly headed the U.S. delegation at the Cannes Film Festival in April 1955. While there, she was invited to participate in a photo session with Prince Rainier III, the sovereign of the Principality of Monaco, at the Prince’s Palace, about 55 kilometers away from Cannes. After a series of delays and complications, she met him at the Prince’s Palace of Monaco on May 6, 1955. At the time of her initial meeting with him, she was dating the French actor Jean-Pierre Aumont. Grace Patricia Kelly married Prince Rainier III on 19th April 1956, in a very public and ornate ceremony, and thereafter she became the Princess of Monaco. After marrying Prince Rainier, Kelly abandoned her acting career in order to become princess consort of Monaco. She was also required to give up her American citizenship, and Prince Rainier banned her films in Monaco. The royal couple was blessed with three children Caroline, Princess of Hanover, Albert II, Prince of Monaco, Princess Stéphanie of Monaco. She founded the charitable organization named ‘AMADE Mondiale’ which was also recognized by the UN as an NGO. In appreciation of her work with Hitchcock in three of his films, Kelly later wrote a foreword to the book, The Art of Alfred Hitchcock, by Donald Spoto. 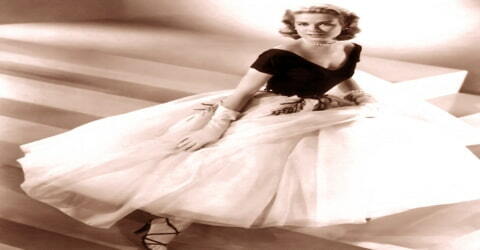 Spoto had also written High Society: The Life of Grace Kelly. In 1964, she established the ‘Princess Grace Foundation’ to help the local craftsmen. She was also a supporter of the organization ‘La Leche League’ which promotes breastfeeding. After graduating from the drama school, she embarked into a career in Broadway, and her first play there was ‘The Father’ in 1949. However, after failed attempts at the Broadway, she directed her career into Hollywood. She was cast in a number of television dramas in the early 1950s. In 1951 she made her big-screen debut, appearing in a minor role in Fourteen Hours. The following year she gave a breakthrough performance as Gary Cooper’s Quaker wife in High Noon. Kelly worked diligently and practiced her speech by using a tape recorder. Her early acting pursuits led her to the stage, and she made her Broadway debut in Strindberg’s The Father, alongside Raymond Massey. At 19, her graduation performance was as Tracy Lord in The Philadelphia Story. The following year, she worked in the film ‘Mogambo’ along with actors Clark Gable and Ava Gardner. In this film, her acting was critically acclaimed and even won her a ‘Golden Globe Award’. However, Kelly’s performance in Fourteen Hours was not noticed by critics and did not lead to her receiving other film acting roles. She continued her work in the theater and on television, although she lacked “vocal horsepower”, and would likely not have had a lengthy stage career. Kelly was performing in Colorado’s Elitch Gardens when producer Stanley Kramer offered her a role co-starring opposite Gary Cooper in Fred Zinnemann’s High Noon, a western set in a historic old mining town in Columbia, California. She accepted the role, and the film was shot in the late summer/early fall of 1951 over a 28-day shooting schedule in hot weather conditions. She was cast as a “young Quaker bride to Gary Cooper’s stoic Marshall”, and she wore a “suitably demure vaguely Victorian dress”, alongside Gary Cooper, who was 28 years her senior. The movie was released in the summer of 1952. High Noon garnered four Academy Awards and has since been ranked among the best films of all time. However, High Noon was not the film that made Kelly a movie star, despite it now being one of her best-known films. She then worked in a television play ‘The Way of an Eagle’ and soon after, she earned a role in director Alfred Hitchcock’s film ‘Dial M for Murder’ which was based on Frederick Knott’s play by the same name. Her next project was ‘The Bridges at Toko-Ri’ where she worked with actor William Holden. In 1954, Kelly won the role of Georgie Elgin in ‘The Country Girl’, opposite Bing Crosby and William Holden. It was not a glamorous role for Kelly, who portrayed the dowdy and neglected wife of an alcoholic. She gave a raw and uncharacteristically stripped-down performance, which garnered an Academy Award nomination for Best Actress. This time she won, beating Judy Garland (A Star Is Born) to claim her Oscar. After receiving the Oscar nomination, Kelly won the New York Film Critics Circle Award for best actress for her performances in her three big movie roles of 1954: Rear Window, Dial M For Murder, and The Country Girl. At the Golden Globe Awards in 1955, Garland and Kelly both won awards for their respective performances. Garland won the Golden Globe Award for Best Actress in a Motion Picture – Comedy or Musical, and Kelly won the Golden Globe Award for Best Actress in a Motion Picture – Drama. With every film, Kelly received greater acclaim. The New York Times praised her performance in The Country Girl as “excellent”, and Rear Window got her marquee credits on a par with, and beyond, those of James Stewart and Alfred Hitchcock. She starred in the film ‘Green Fire’ in 1954, directed by Andrew Marton. The following year, she worked in the film ‘To Catch a Thief’ which was released in 1955, and this too was directed by Alfred Hitchcock. In 1956, Kelly portrayed Princess Alexandra in the British film The Swan, directed by Charles Vidor, opposite Alec Guinness and Louis Jourdan. Her final role was in Charles Walters’s musical film High Society, a remake of the 1940 MGM classic The Philadelphia Story. In this film, she stars opposite Bing Crosby, Frank Sinatra, and Celeste Holm. After making The Swan (1956) and High Society (1956), Kelly retired from the screen to marry Prince Rainier. After the couple wed in a lavish ceremony on April 18, 1956, Kelly became the princess of Monaco. Although she repeatedly resisted attempts to lure her back into performing, she reportedly agreed to star in Hitchock’s Marnie (1964) before backing out of the project. However, she did lend her narration to one or two documentary films and gave occasional poetry readings. In addition, in 1976 she joined the board of Twentieth Century-Fox Film Corporation. Hitchcock offered Kelly the lead in his film Marnie in 1962. She was eager, but public outcry in Monaco against her involvement in a film where she would play a kleptomaniac made her reconsider and ultimately reject the project. Director Herbert Ross attempted to interest her into accepting a part in his film The Turning Point (1977), but Rainier quashed the idea. Later that year, she returned to the arts in a series of poetry readings on stage and narration of the documentary The Children of Theater Street. She also narrated ABC’s made-for-television film The Poppy Is Also a Flower (1966). Grace and Rainier worked together in a 33-minute independent film called Rearranged in 1979, which received interest from ABC TV executives in 1982 after premiering in Monaco, on the condition that it be extended to an hour. Before more scenes could be shot, Kelly died and the film was never released or shown publicly again. 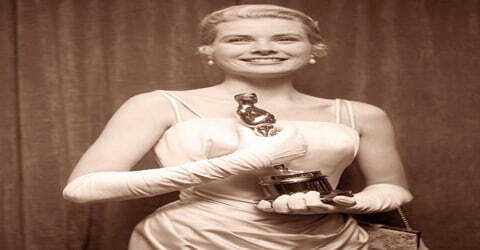 In 1954, she became a recipient of the ‘Golden Globe Award’ in the ‘Best Supporting Actress’ category. The same year, she won the ‘Academy Award’ for the film ‘The Country Girl’ in the ‘Best Actress’ category. In 1954, she appeared on the Best Dressed list, and in 1955, the Custom Tailored Guild of America listed her as the “Best-Tailored Woman”. In 1955 Kelly won the Golden Globe Award for Best Actress in a Motion Picture – Drama. Her role in the films ‘Dial M For Murder’, ‘Rear Window’, and ‘The Country Girl’, she was awarded the ‘New York Film Critics Circle Award’ in the Best Actress category. Grace Kelly appeared on the cover of the 31 January 1955 issue of the weekly magazine Time. The magazine hailed her as the top movie star who brought about “a startling change from the run of smoky film sirens and bumptious cuties”. She was described as the “Girl in White Gloves” because she wore “prim and noticeable white gloves”, and journalists often called her the “lady” or “Miss Kelly” for this reason as well. On September 13, 1982, Princess Grace suffered a stroke while driving on a winding road at Cap-d’Ail in the Côte d’Azur region of France. She lost control of the car, which plunged down a 45-foot (14-meter) embankment. Her daughter Stéphanie, who was in the passenger seat, tried but failed to regain control of the car. 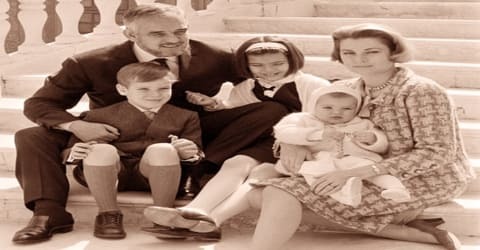 Kelly was taken to the Monaco Hospital (later named the Princess Grace Hospital Centre) with injuries to the brain and thorax and a fractured femur. Doctors believed that she had suffered a minor stroke while driving. She died the following night at 10:55 p.m. after Rainier chose to take her off life support. You know, I just love Grace Kelly. Not because she was a princess, not because she was an actress, not because she was my friend, but because she was just about the nicest lady I ever met. Grace brought into my life as she brought into yours, a soft, warm light every time I saw her, and every time I saw her was a holiday of its own. 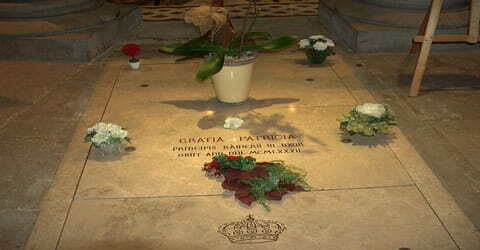 No question, I’ll miss her, we’ll all miss her, God bless you, Princess Grace. The film which became a milestone in Kelly’s career was ‘The Country Girl’, where she portrayed the character of Georgie Elgin, who was distressed by her husband’s drinking habits. Her co-stars in the movie were Bing Crosby and William Holden. This film earned her the ‘Academy Award’ in the ‘Best Actress’ category. In 2012, Kelly’s childhood home was made a Pennsylvania historic landmark, and a historical marker was placed on the site. The home, located at 3901 Henry Avenue in the East Falls section of Philadelphia, was built by her father, John B. Kelly Sr., in 1929. Grace lived in the home until 1950, and Prince Rainier III proposed to her there in 1955. The Kelly family sold the property in 1974. Prince Albert of Monaco purchased the property, speculating that the home would be used either as museum space or as offices for the Princess Grace Foundation. Shortly after her death, The Grace Kelly Story (1983) aired as a TV movie, starring Cheryl Ladd. Years later, Nicole Kidman took on the role of the Hollywood icon turned princess in the biopic Grace of Monaco (2014).